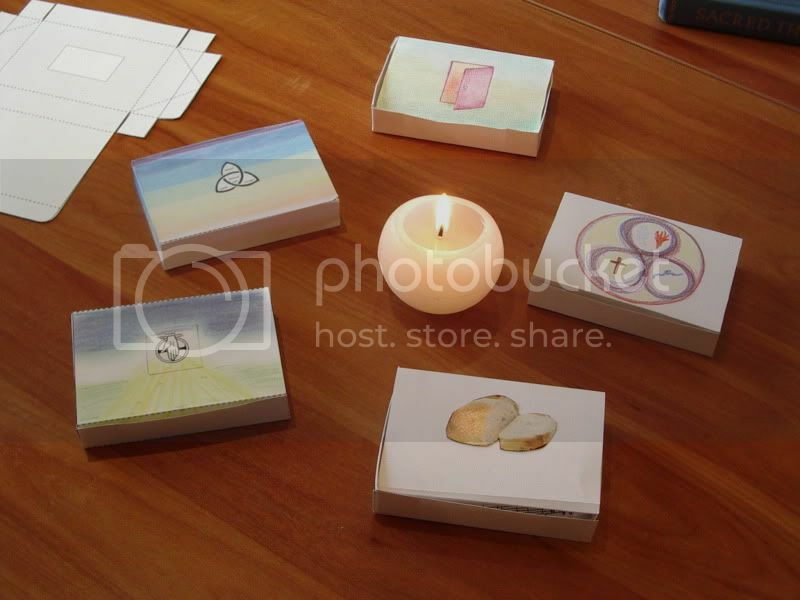 Faith boxes, made for the course "Psalm 119 and the Tarot", La Verna Amsterdam, second group, December 12. The unfinished box on the left represents an intense process from one of the participants which she shared with us. Not in reality but in spirit there is a Goddess-box on the table. The person who made it was about to leave for Canada. In spirit there is also a box with the Hebrew letters "life", as a symbol of celebration of life on earth.